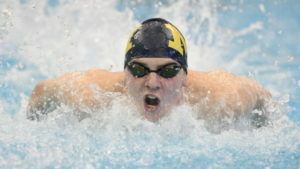 While the Michigan men had their winning streak snapped by Indiana at the 2017 Big Ten Championships, the Wolverines’ future looks bright based on the performance of their freshman class. Going into 2016, most observers would have said that Blake Pieroni was more of a 200 freestyler than a 100 freestyler. 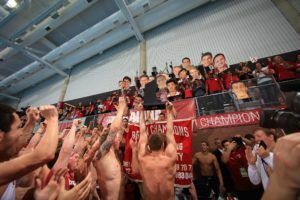 Yet Pieroni became an Olympic gold medalist last summer by making his way on the the USA 4×100 free relay team, and this year he has been showing that was no fluke. 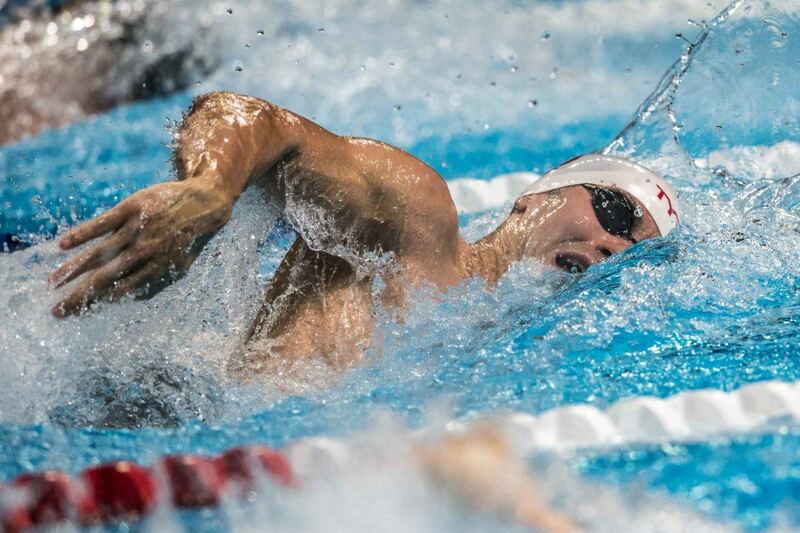 Tonight, he set a new Big Ten conference and meet record with his first swim under 42. Pieroni touched in 41.44, eclipsing the 42.00 mark set this morning by Wisconsin’s Cannon Clifton. Before this morning, the conference record belonged to Penn State’s Shane Ryan, a 42.08 from 2014. Ryan also dipped under his lifetime best this evening, finishing 2nd to Pieroni in 41.86. Barring any swims from this week that haven’t made it into the NCAA database, Pieroni now has the 2nd-fastest time in the nation this season. Only Caeleb Dressel has been faster, having recorded a 41.24 at SEC championships last week. Ryan’s time ranks him 4th, with Missouri’s Michael Chadwick sitting between him and Dressel. This was a great swim. And it deserves more attention than it’s getting. Nice job Blake! ?